In human rights declarations and law, both at the national and international level, the human rights to free speech and religious freedom are usually granted strong—but not absolute protection. Exceptions to the protections are allowed on grounds of preserving essential “public order” (ordre public) and “public morality.” Today these exceptions are being interpreted in sharply divergent ways in different parts of the world. Increasingly they are invoked as rationalizations for severe limitations on these critically important liberties. 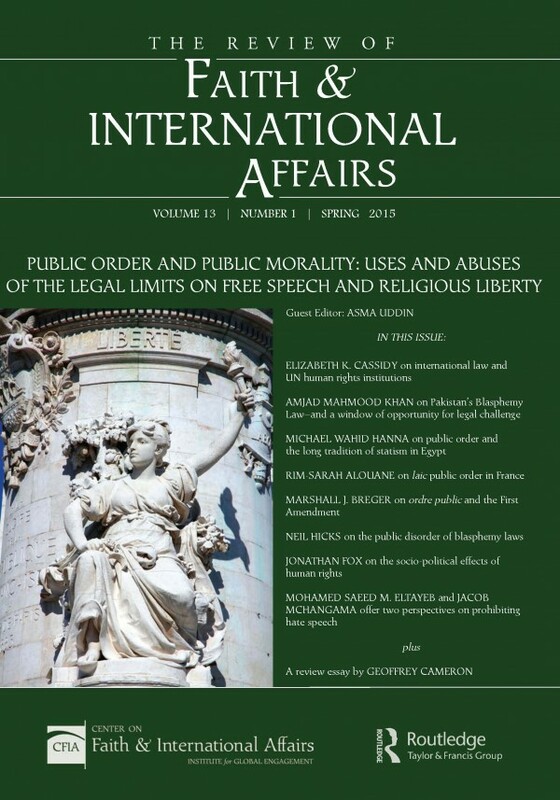 The spring 2015 issue of The Review of Faith & International Affairs examines the theoretical foundations and the contemporary uses and abuses of the “public order” and “public morality” exceptions to free speech and religious liberty.